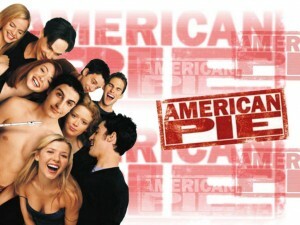 Stifler’s Mom and the Gang Are All Back for the 4th Installment of ‘American Pie’!!! Check Out the Trailer!!! Hilarious!!! I love these films. I’m glad to see the whole cast has come back for another film. This one is called ‘American Reunion’. Enjoy the Trailer. Check Out the Red Band Trailer For ‘American Reunion’!!! It’s Funny!!! Check Out the New Funny Trailer for ‘American Reunion’!!! ‘American Pie’, ‘American Pie 2’, and ‘American Wedding’ Blu-rays Announced and Detailed!!! This entry was posted on Thursday, October 13th, 2011 at 1:26 pm	and is filed under Film, News. You can follow any responses to this entry through the RSS 2.0 feed. You can skip to the end and leave a response. Pinging is currently not allowed. « Behind the Candelabra: The Liberace Movie IS Actually Happening!! !